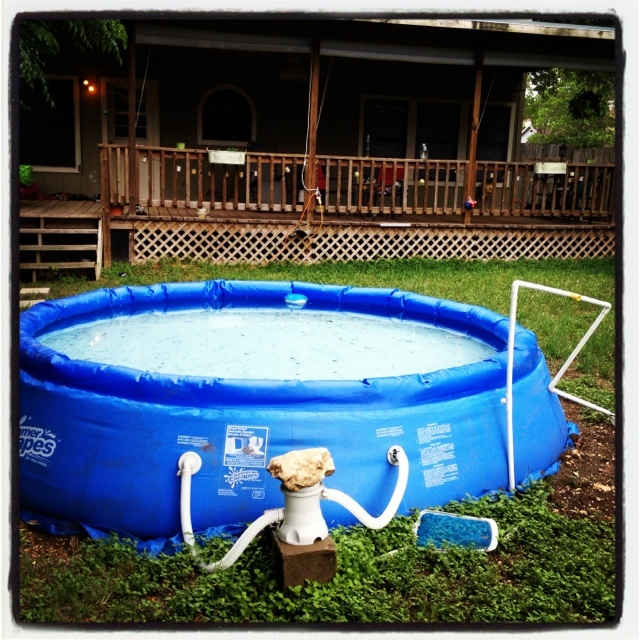 Check out my new pool! I’ve finally made it in life. Okay, so it’s not new… it leaks, it needs a rock to function and pieces of PVC to hold it together. Still though, it’s a pool.